Just when they got all the setup complete for the perfect photo, Joe the tourist jumped in and blew it. DAN, and his giant seagull rule the WORLD! Amazing timing! 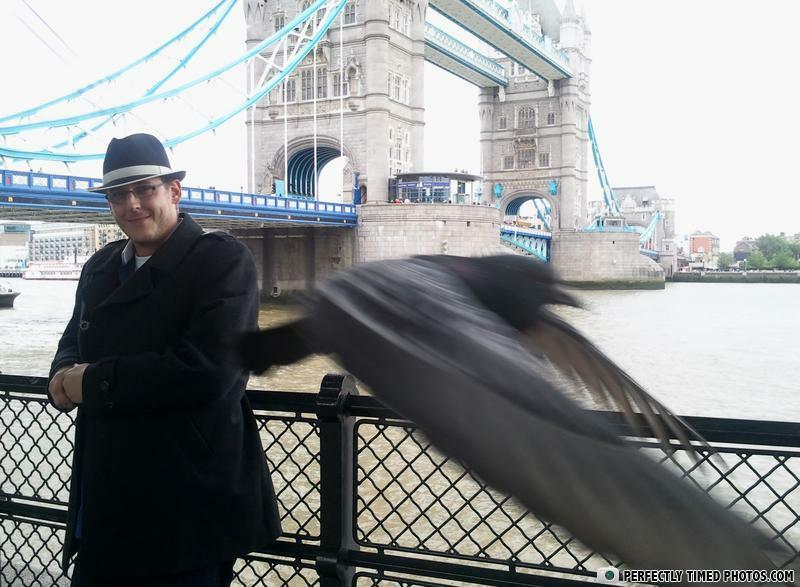 That guy just jumped in the very moment I photographed that posing pidgeon! Mobsters........Even Giant Ravens fear them. That is Alfred Hitchcock, now you know the rest. Whats the difference between an American and a Frenchman?